The use of the Baku-Tbilisi-Kars railway by the Black Sea countries can help them not only increase trade turnover, but also expand cultural and social ties. 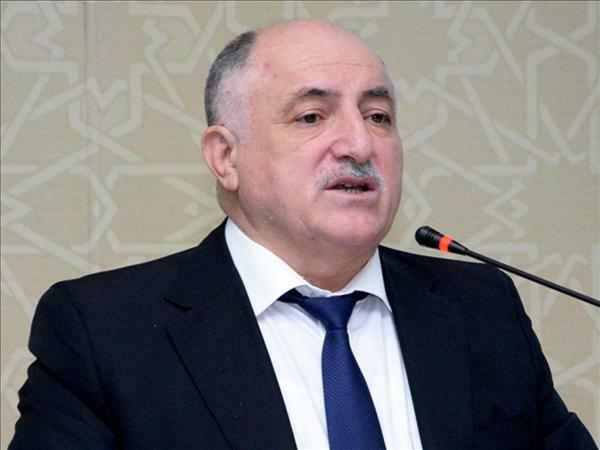 This was stated by President of the National Confederation of Entrepreneurs' (Employers') Organizations of Azerbaijan Mammad Musayevat the international business forum dedicated to the development of small and medium entrepreneurship in the Black Sea region. 'As a result of the purposeful economic policy of Azerbaijani President Ilham Aliyev, our country has achieved rapid development in recent years. This year is very important for our country. We solemnly celebrated the 100th anniversary of the establishment of the Azerbaijan Democratic Republic. The foreign and internal policies, the governance practices defined by national leader Heydar Aliyev and successfully continued today by President Ilham Aliyev can serve as an example for many countries, said Musayev. Touching upon energy and infrastructure projects, he noted that the use of the Baku-Tbilisi-Kars railway by the Black Sea countries can help not only to increase trade turnover, but also expand cultural and social ties. He stressed that the successful socio-economic policy of the President of Azerbaijan created conditions for dynamic economic development of the country. 'Over the past 15 years, under conditions of macroeconomic stability, the formation of a socially oriented economy was fully ensured, the diversification of economy and the development of non-oil sector were intensified, the government support for entrepreneurship increased. As a result, over 1.6 million new jobs were created, poverty and unemployment were reduced to a minimum, and also the improvement of the material status of citizens was successfully implemented, Musayev underlined. On October 30, a solemn ceremony on the occasion of the opening of the BTK railway was held at the Baku International Sea Trade Port. Two trains from Kazakhstan to Turkish Mersin have already been sent via this route. The first train, consisting of 30 containers, on November 4, delivered 600 tons of wheat to the Turkish city of Mersin. The second freight train left Kazakhstan on November 27. The train has already reached Georgia. The BTK railway was constructed on the basis of the Azerbaijan-Georgia-Turkey intergovernmental agreement. The main purpose of the project was to improve economic relations between the three countries and attract foreign direct investment by connecting Europe and Asia. In fact, the BTK railway route is the shortest way to deliver cargo from the Russian regions located in the Volga, Ural and Siberian Federal Districts to the Mediterranean ports of Turkey, and further to the countries of Africa and the Middle East. In turn, Chairman of the Board of the Agency for Small and Medium Entrepreneurship Development under the Economy Ministry Orkhan Mammadov stressed that there is a huge potential for business cooperation between Azerbaijan and the Black Sea countries in the field of small and medium entrepreneurship (SME). 'In order to fulfill this potential, the members of the Organization of the Black Sea Economic Cooperation should make more efforts and promote the SME development. Although our agency is a new institution, we are ready to cooperate with similar agencies of the BSEC countries and we invite everyone to cooperate with us, Mammadov said. Mammadov noted that the sustainable development of SME is a priority of the economic policy of Azerbaijan, the successful reforms are being carried out in this direction. 'Despite the fact that not much time has passed since the establishment of our agency, we are already implementing many economic initiatives. First, we are working on the creation of SME Houses, where G2B (government to business) and B2B (business to business) services will be provided. We are also working on the creation of the Centers on the development of SME, some of which have already opened in Imishli, Masalli and Bilasuvar regions, he said. The head of the agency said the entrepreneurs showed great interest in the centers from the very first days of their functioning, further adding that the agency is ready to share its experience in this area with other countries. In late 2017, the Agency for Development of Small and Medium-Sized Enterprises under the Ministry of Economy was created by presidential decree, in accordance to which the Agency is a public legal entity that supports the development of small and medium-sized businesses in the country, provides a range of services to the SMEs, coordinates and regulates the services of state bodies in this field. Small and medium-sized entrepreneurship houses will operate at the ASAN Service centers. These houses will operate at the regional departments of the Economy Ministry in those districts of the country where the ASAN Service centers are not available. The SME houses will be controlled by the Agency for Development of Small and Medium-Sized Enterprises. The SME houses will render a range of services, including training, consulting, information, financial and other services.